I’m a mom of two kiddos, a 2 1/2 year old and a 7 month old! I have always been into sports and didn’t find my passion for running until my early 20s. I always loved running but never had a cheerleader that championed my success. I loved running in school but rather than pursue anything with it - I worked - not realizing I’d be working for the rest of my life! I find peace and solace with running. And I love it’s competitive edge. I run against myself and to better myself. I found so much zen running during my pregnancies. I ran a half marathon at 32 weeks pregnant with my firstborn and a full marathon 10 weeks pregnant with my second. Those races were the first ones I ran without steadfast goals and it was then I realized running can be more than chipping away seconds on your time. Now that I am back to running for one, what makes me tick is goal-oriented running be it an easy pace or PRs. I have little shadows now and I love leading by example for them. 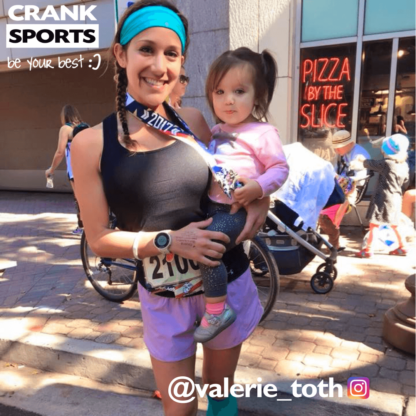 Running and life are parallel - running helps me showcase how you can grind through discomfort, disappointment and equally celebrate the triumphs and finish lines! 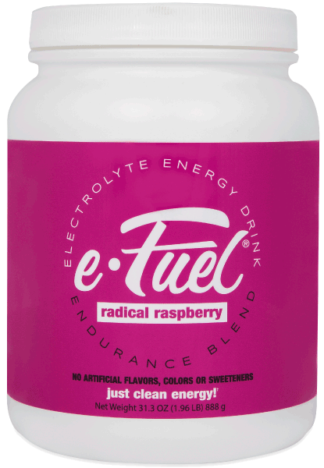 I love the e-Fuel as does my daughter! She always tried to sneak a sip. I love it more because I know the ingredients and how kind it is to the stomach. It’s tasty while being energizing and hydrating. All around win!